Faith can be an important influence in determining how people approach environmental and health matters, whether through religious scriptures, practices, or the leadership of spiritual and faith leaders. Drawing on this connection, faith-based groups and public health programs are partnering to make their communities safer and healthier. 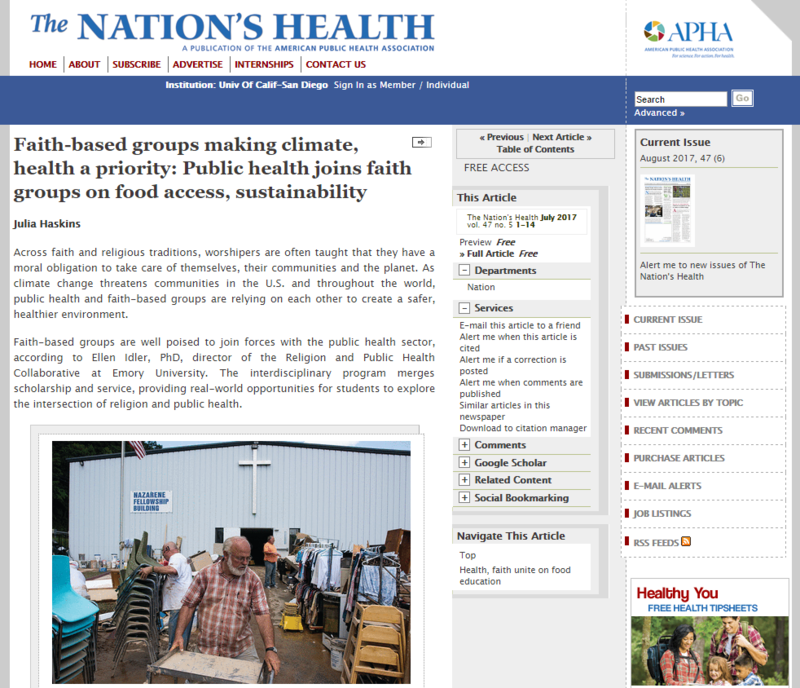 The American Public Health Association featured our Faith-Based Wellness Program in a recently-published article that took a look at how some of these faith-based and public health groups are working together to address food access and sustainability in their neighborhoods. To read the article in its entirety, click here. Previous Article: Produce Handling Training Coming Up! Next Article: Summer Spotlight: Dur Dur Market!